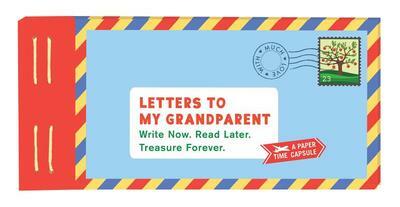 Letters to My Grandparent: Write Now. Read Later. Treasure Forever. Very Good. 1452159483 Minor shelf wear. Very Good. Minimal wear to cover. Pages clean and binding tight. Hardcover. Good-This Hard Back Book is in good overall condition. The covers are intact with some slight wear. The dust jacket, if applicable, is intact with some slight wear. The spine has creasing. Pages may include notes, folds and highlighting. The "Head", "Tail" and "Fore-Edge" may have markings and/or spots. Thanks for supporting our Mission at Goodwill.